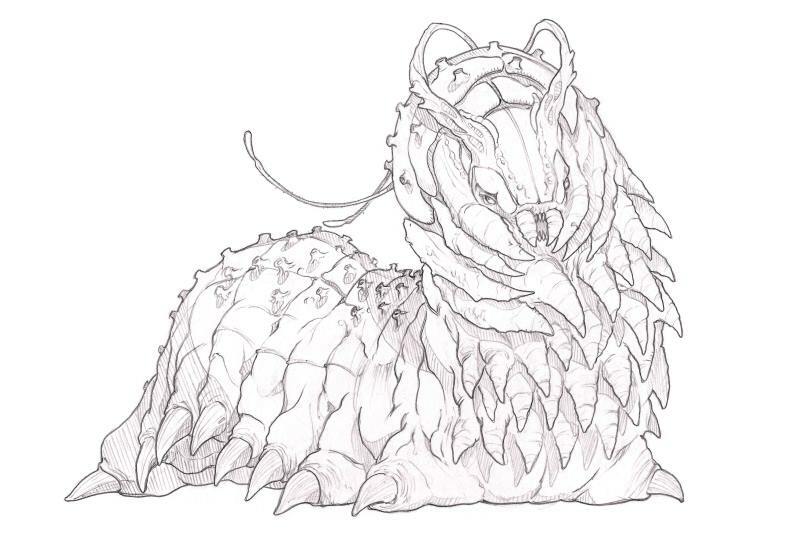 The Cleax are a race originating from outside Starmourn sector, and are one of the most alien of the races we know of. 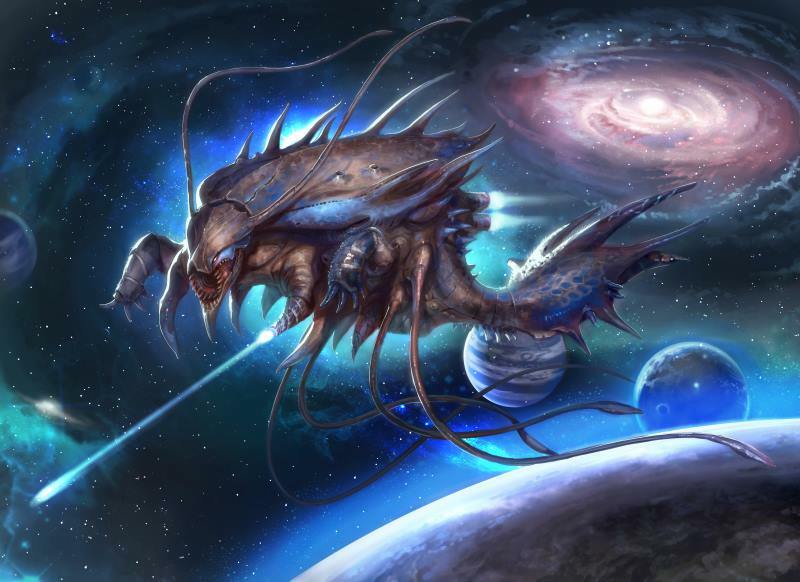 Starmourn first had contact with them about 900,000 years ago, long before most of the Younger Races even existed, when they invaded and were stopped by an alliance of Elder Races. They invaded again a few thousand years ago, and the carnage led to the Y’saari taking control of the Void Gates of central Starmourn, and imposing the Covenant Mark as the dominant (and now only) currency. And finally, they invaded again a few hundred years ago, establishing a beachhead in Starmourn that proved to be permanent, as the races of Starmourn were unable to drive them out. One of the interesting things about the Cleax is that they take two forms, which we call Cleax (over 99.999% of the race as far as we can tell), and the massive, mighty Sarkeen, capable of surviving and even winning engagements with starships. There’s a lot of important history there, so check it out! Red ones, blue ones won’t work! Nice! Do they change from one form into the other either permanently or temporarily or are they only ever one form or another? Oh, it looks like the implication is that they are either one or the other and do not change. I see it now! Annnnd got around to reading the actual bio which says that we don’t actually know either way. NEVER MIND. I’ll just carry on this insane conversation with myself.